Bottega Gold Prosecco is a popular Sparkling Wine available from 31dover.com in 75cl to buy online. Visit 31dover.com for the best price for 75cl of Bottega Gold Prosecco or compare prices on our other Sparkling Wine products. A fruity nose with flowery with scents of Golden apple, Williams pear, acacia flowers and lily of the valley. Made in Veneto in the north west of Italy. A fresh and aromatic Prosecco sparkling wine. The ideal choice for aperitif, dinners and parties. A prestigious gift for special occasions. 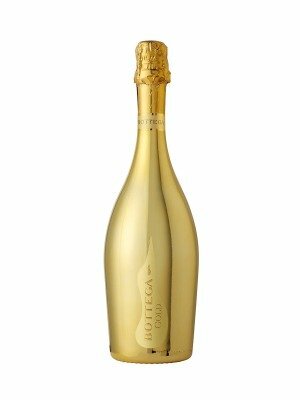 Where to buy Bottega Gold Prosecco ? Bottega Gold Prosecco Supermarkets & Stockists. You can buy Bottega Gold Prosecco online in most retailers and find it in the Sparkling Wine aisle in supermarkets but we found the best deals online for Bottega Gold Prosecco in 31dover.com, DrinkSupermarket.com, TheDrinkShop, and others. Compare the current price of Bottega Gold Prosecco in 75cl size in the table of offers below. Simply click on the button to order Bottega Gold Prosecco online now.